We have eight weeks of our school year left so I have been busy evaluating this year's curriculum and researching for next year. Researching curriculum is one of my favorite things...no, really...I am serious. 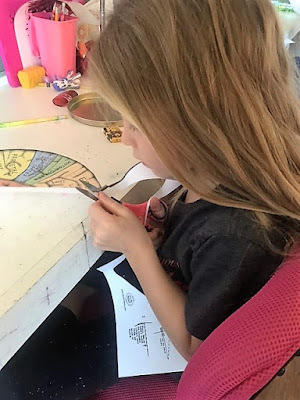 You may think that with homeschooling our curriculum would be very limited. Nothing. Could. Be. Farther. From. The. Truth. There are so, so, so, sooooooooooo many options. Hopefully in the next couple of weeks I will be able to write a couple of posts regarding what we used this year. For today, however, we will talk about the brain. :) We are currently using the Answers in Genesis - The Human Body book. 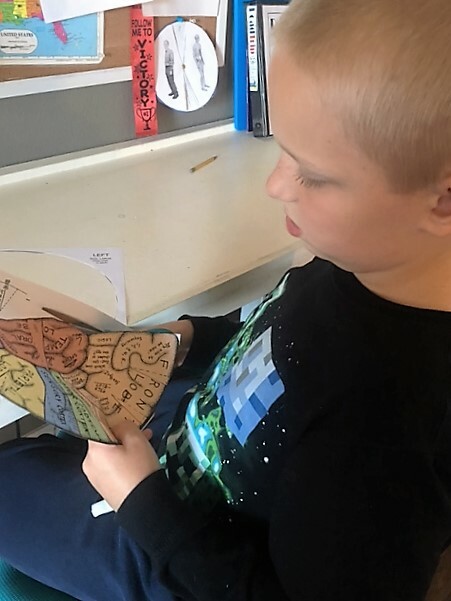 The kids have loved this book. Just to give you a small example, my second grader hit his jaw and loudly stated that he may have "cracked his mandible". It was to funny but at least he is applying the vocabulary! 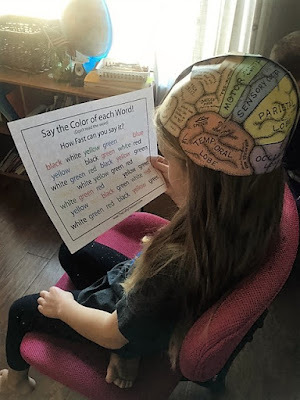 I found a super fun craft (from Ellen McHenry's Basement) on Pinterest called a "brain hat". 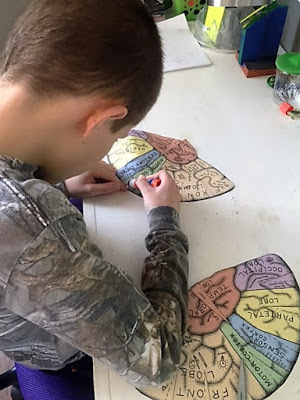 This was a quick craft, just perfect for reviewing the parts of the brain. Click here for the link. I really liked how each colored area also included fun drawings. 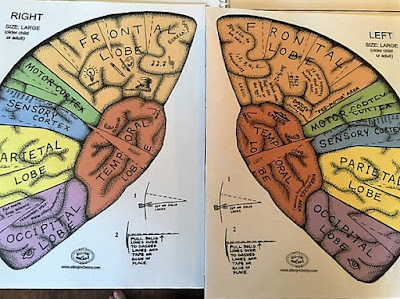 This visual really helped the kids remember which part of the brain completed various functions. The cutting was very simple. I think it would be fine for kids age 5 and up. After cutting the specific lines, we formed two shallow "bowls" which were actually each hemisphere of the brain. Then we attached the hemispheres with tape. Here is a left side, back, and right side view of the brain hats. Everyone seems to love the cute little wooden objects that woodworkers dream up. Sometimes they're useful items with a purpose and sometimes you just hang them on the wall and look at them.